A new section in Z! 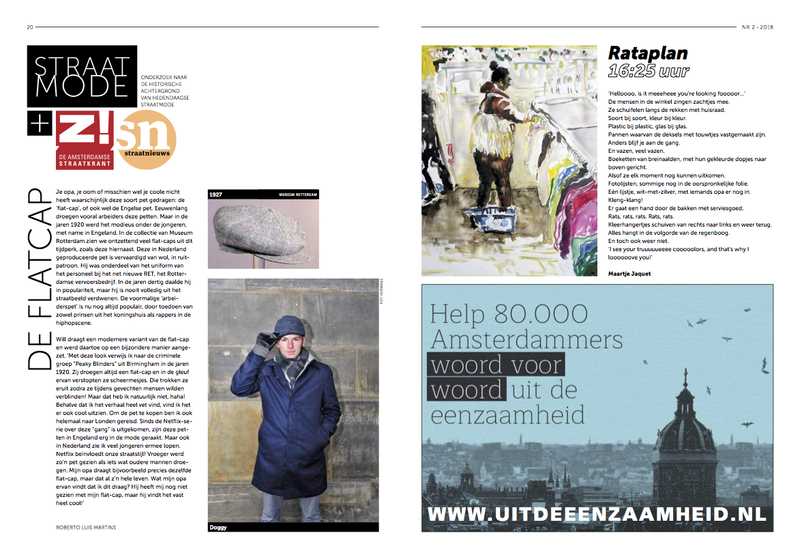 After making one minute city videos for many years, as of january 2018 I will be working on a brand new section for each issue of Z!, the Amsterdam magazine for the homeless. 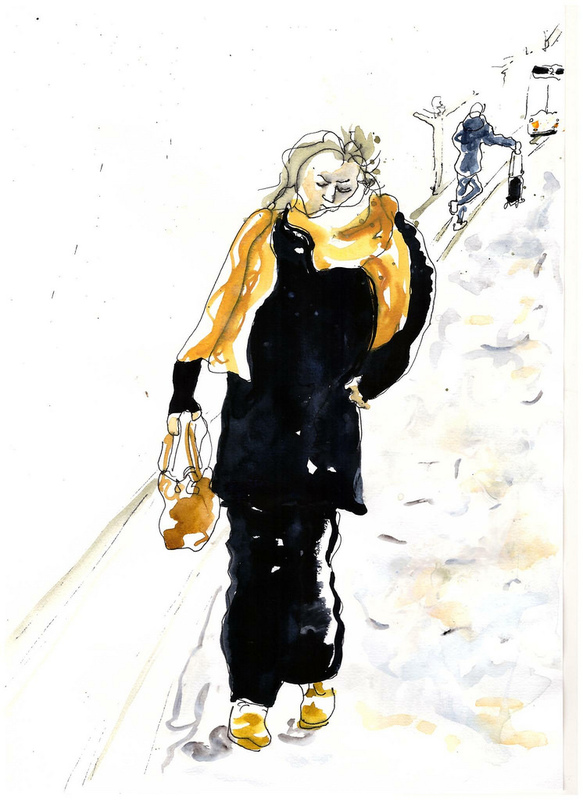 An impression in image and words of a place and time, somewhere in the city of Amsterdam. You can buy the Z! in the streets of Amsterdam. Of each €2,- 90 cents go directly to the person selling it. 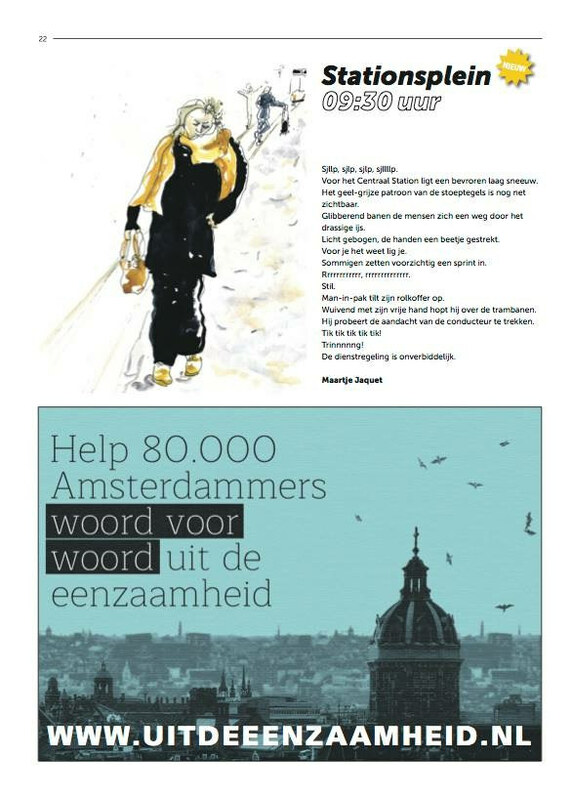 Posted by mjaquet on 2018/01/20 in drawing & painting, news, painting, portrait, publication, text, writer and tagged amsterdam city portraits, amsterdam magazine for the homeless, Amsterdamse Mensen, city portraits, CityPortraits, drawing, Ieder1, maartje jaquet, maartjejaquet, painting, People of Amsterdam, PeopleOfAmsterdam, stadsportretten, text, WeAreOnePeople, writer, writing, Z!.